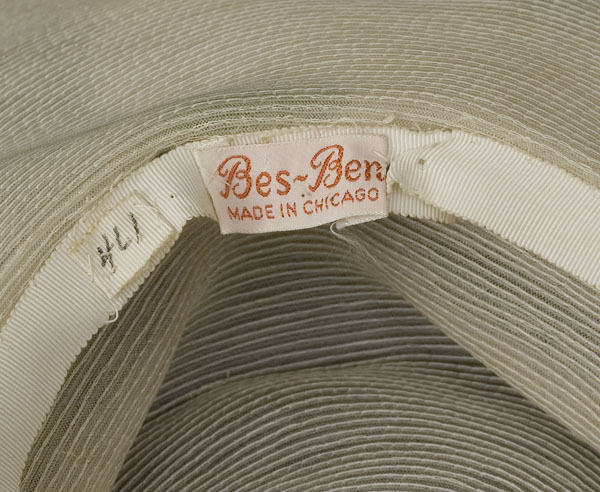 Ben Green-Field of Bes-Ben hats became known as “Chicago's Mad Hatter.” Bes-Ben turned out fine hats of conventional design until 1941 when Ben's creativity and sense of humor came to the fore. He began to use unusual items in the hats: mousetraps, cigarette packages, and even Folies-Bergère dancers. 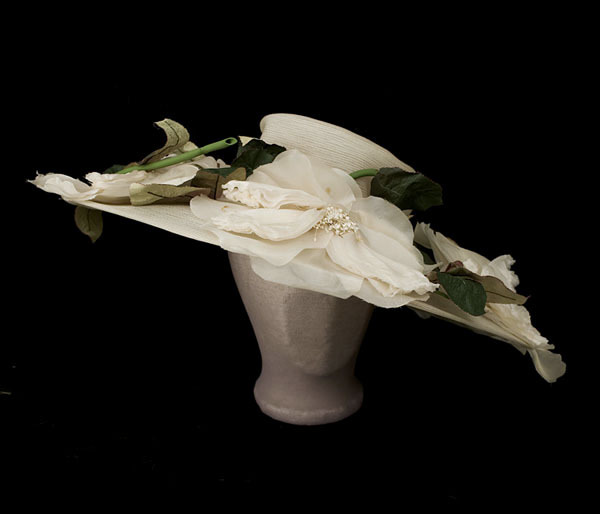 From the 1960s, these unique hats became strong collectibles with one going for an auction record of $18,400. 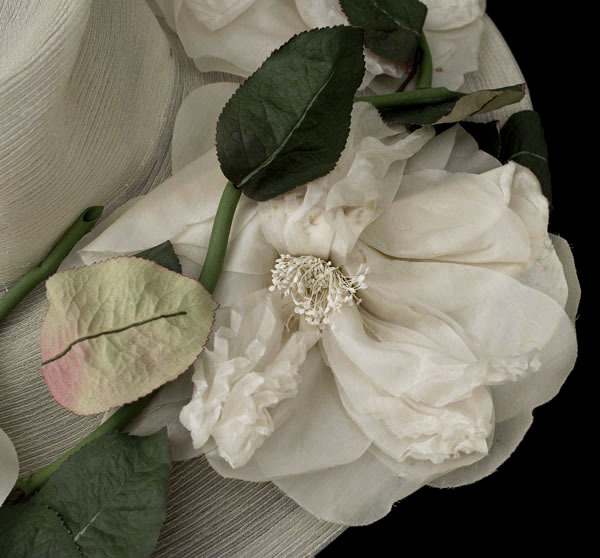 Whether "fun" or conventionally decorative, Bes-Ben hats appeared fresh and innovative because of Ben's unerring sense of scale and proportion. 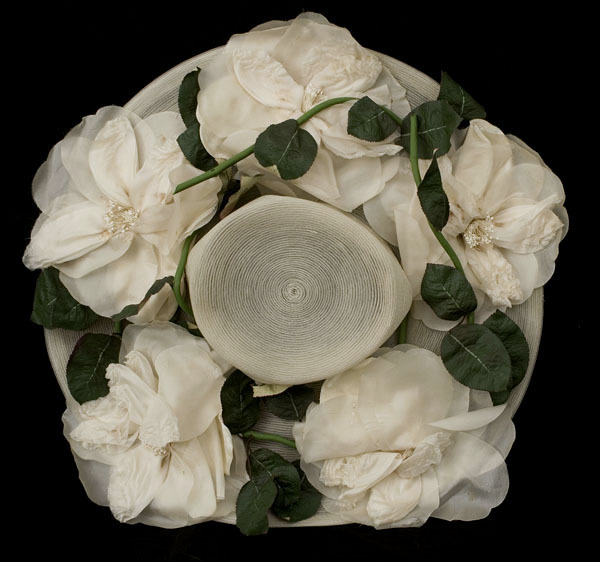 Made from ivory nylon straw and trimmed with matching silk organza flowers, the dramatic wide brim hat is an attention grabber with its luscious, larger-than-life flowers. 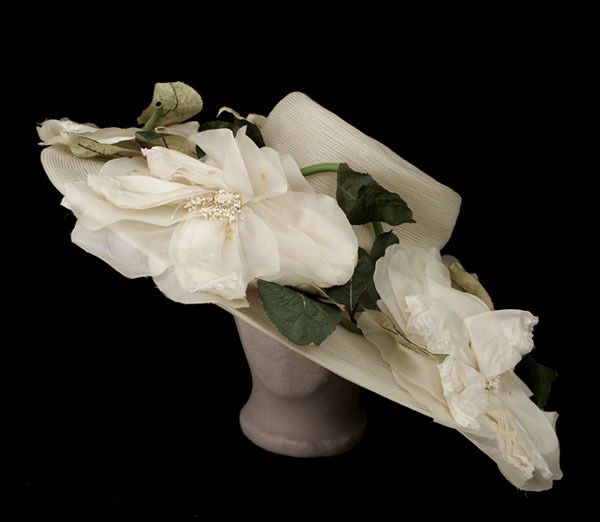 Wear it to Ascot; wear it for a wedding; or wear it just for fun! 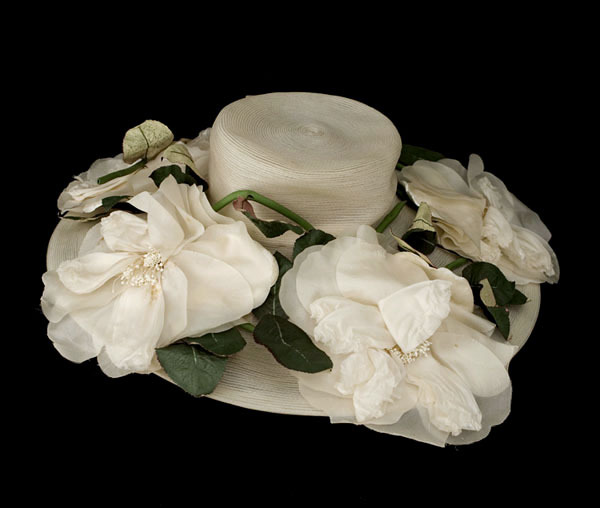 In addition to hats custom designed for celebrities (Marlene Dietrich, Judy Garland, Ginger Rogers), Ben often created hats for special occasions. For a charity entitled “Time for Giving,” a Chicago socialite wore a little Bes-Ben hat covered with clocks. The condition is almost excellent. On the under side of the back brim is one small spot that does not show when the hat is worn. 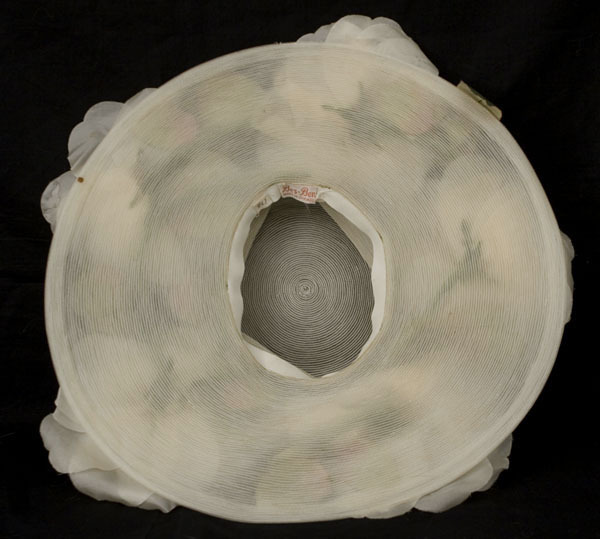 It measures: 19" brim diameter, 20 1/2" inner crown circumference, and 2 1/2" crown height.